first name recognition and more. 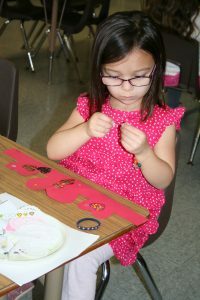 Students will engage in a variety of activities including songs, poems, crafts, cooking and gardening. Special activities are planned throughout the year and include neighborhood walks, seasonal parties, special guests, field trips and sharing time.